Hyderabad, the capital of Andhra Pradesh is one of the leading and multicultural cities in India. The culture, environment and cosmopolitan nature of Hyderabad made it a popular job hub. From years, it has been attracting people from nearby rural areas and also from other states of the country. Though many fresh graduates come to Hyderabad in search of jobs, very few are able to get the right job they are looking for. Reason? Many don’t know how to find a job in Hyderabad. Instead of approaching it in a right way, they often get carried away by the hype and fake stories created by non-locals who actually are ignorant. Many people assume that Hyderabad offers only IT jobs. Though IT jobs are more in Hyderabad, there are many job opportunities that Hyderabad has to offer to graduates in non-IT fields. You can find many openings in pharmaceutical, retailing, manufacturing, marketing and KPO companies. In addition to that, there is always a demand for a variety of professions including architects, CAs, web-designers, etc. Many new kinds of jobs with decent pay are available in Hyderabad for people with good analytical and communication skills. 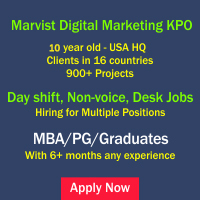 Jobs in Internet marketing companies are a good example for this. Even a small or mid-sized Internet marketing company will have various job profiles such as web research specialists, content writers, business development executives, project coordinators, etc. Whatever is the field/industry you are planning to enter, there are some standard things, you need to be aware of to get a job in a decent company in Hyderabad city. Prepare a resume as per your educational qualification (which you have passed out recently) and be honest while preparing your resume. If the interviewer finds that the information you shared is wrong, you will get rejected. Don’t try to create an extra-ordinary resume, make it simple, accurate and decent. 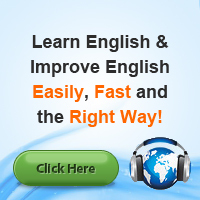 Make sure that there are no spelling, grammar or alignment errors. The next thing you need to do is to buy two formal dresses. Iron them and keep them aside. Don’t use them for regular use. At any given point of time, you need to have these dresses ready because you may get an interview call at any point of the day. We said two dresses because you may be called for second round of interview the next day itself. Also be ready with your formal shoe and keep them polished. Make sure that you are clean shaved and properly groomed for the interview. Make sure that you take a general bus pass. It will cost as low as Rs.550 per month. Keep traveling in the city. The more you travel, the more you feel comfortable while going for interviews at different places. Know major areas in the city. Many people new to Hyderabad city don’t know major areas. They tend to ignore job opportunities in these areas. Prepare a decent e-mail id for your job search. Make sure that you don’t use it for personal purposes. Don’t use unprofessional email ids, for example, Sunil4everyone@… which may create negative impact on you and chances of rejection will be more. For more details on how to prepare a decent e-mail id for job search, click here. The freshers’ hiring mostly happens in job sites like Monster and Naukri. The Monster is for IT and Naukri is mostly for non-IT jobs. Any company serious in hiring uses these portals. A company using Monster and Naukri will be spending Rs. 80,000 to 1.5 lakhs per year. Thus we can say that serious companies rely on Naukri and Monster. Be careful while making friendships. Don’t do friendship with those who are casual in their job search. There are many people who come to Hyderabad whose parents keep sending money and these youngsters keep enjoying life. They are not serious about their careers. It is advised to stay away from people only from your areas (districts). Interacting with them alone would make your career suffer. Therefore, come out of your village mindset. Remember, Hyderabad is a cosmopolitan city; you need to have a wide perspective. You should be able to appreciate the city and its culture. Cultivate the ability to live and work with decent people from all backgrounds. If you get any new call during the working hours (10 am – 7 pm) assume that it is interview call. Look for a quiet place so that you can give a professional feel and answer the call properly. You never know when the recruiter calls, and by hearing the background sounds you may get a negative rating or you may get rejected in tele-screen (interview on phone). You may lose out a good job opportunity. You need to understand that finding a job is full time activity. It is as tough as doing a job. So you need to make a habit of working 8-10 hours a day in finding a job and preparing for a job. Keep yourself busy in checking e-mails, taking interview phone calls, prepare basics, improve English, understand the expectations in Hyderabad city and reading subject books to clear technical round. Do that for a few weeks, and you will see the boost in your self-confidence. Always try to go 45 minutes early to the area (at least 30 min) so that you may go to office 10 minutes before the given time. There may be traffic delays and you may walk briskly and may get sweat. It won’t look good when your dress is half wet with sweat. It creates a wrong impression and there will be more chances of rejection. You will also feel uncomfortable in that situation. In our next articles, we will discuss on 10 tips to get a job in Hyderabad, important considerations while choosing a job in Hyderabad, locations in Hyderabad that provide decent job opportunities, Stay away from Ameerpet logic to get a job in Hyderabad, mistakes to avoid while creating e-mail id for job search and many more topics. This entry was posted on Jun 2012 at 4:48 PM	and is filed under Jobs in Hyderabad > Latest > Hyderabad Jobs. You can follow any responses to this entry through the RSS 2.0 feed. Your Feedback Matters! I have completed my BE in year 2010; because of some personal reasons unable to do job at that time. Is it possible for me to get job right now as I don’t have any experience but I can work in small industries also.